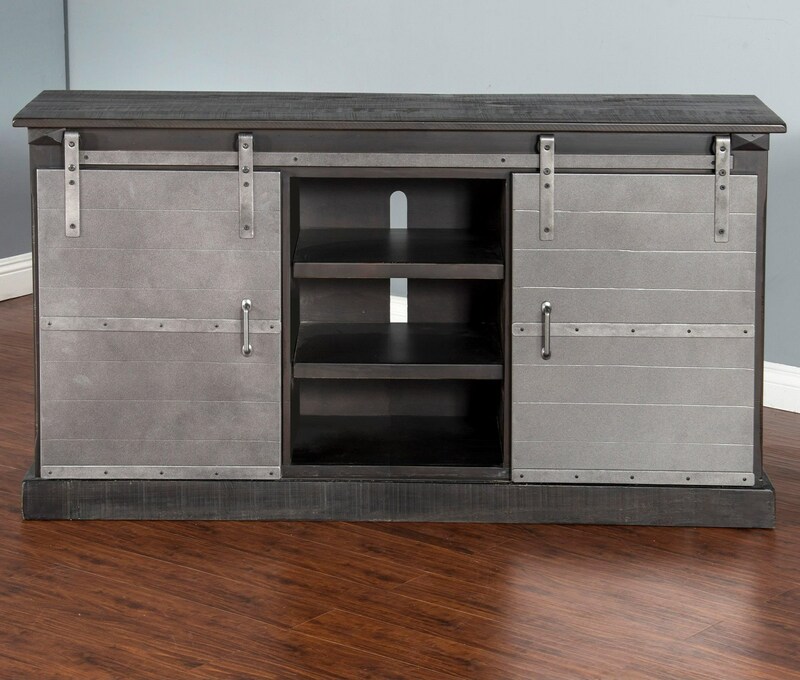 Metal barn doors add an industrial design element to this 65-inch TV console. It is crafted from New Zealand pine solids and veneers in charred oak finish with hand-sawn, weathered distressing for character. The TV console will update the look of your living room with a unique contemporary flair. The 3577 65" TV Console w/ Metal Barn Doors by Sunny Designs at Furniture Mart Colorado in the Denver, Northern Colorado, Fort Morgan, Sterling, CO area. Product availability may vary. Contact us for the most current availability on this product.